NAD: My finest yet - 20w Marshall style lunchbox amp. Gave myself a rare Saturday off today to finish my Christmas project. Wanted to make something that would do the JCM800 thing, but at a bit lower volume. Knocked up a little lunchbox sized head over the Christmas break, finally had chance to finish the circuit and assemble today. Marshall JCM800 preamp with a host of tweaks - Full TMB tone control, gain trim (like an overdrive fine-adjustment dial), PPIMV, presence and resonance controls plus external bias points. Switches for bright (3-position), boost (lifts tonestack for a lot more drive) and fat. 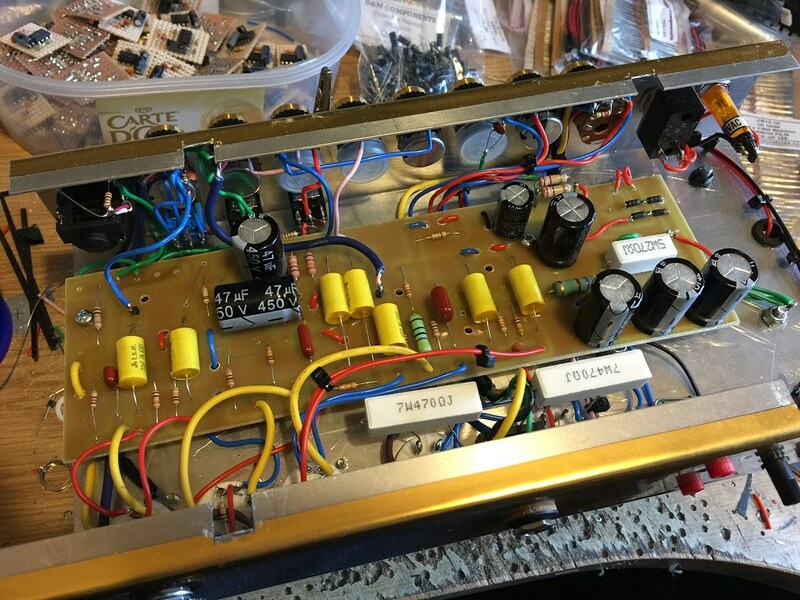 Uses 3x 12AX7 preamp valves and a pair of JJ 6v6, fixed bias for 20w output. Packs a massive punch for a small chassis. I've also tried a new technique - etching a PCB for the build. I know it may annoy some purists, but it makes for a neater build and seems to work perfectly. Anyway, on with the pics. Another one looking lovely inside and out. Great stuff. Lush! Purely aesthetic but I can't help but wonder if there might be a better choice for the corners instead of black. That's tidier than some big name amps i've owned in past years, really well done. 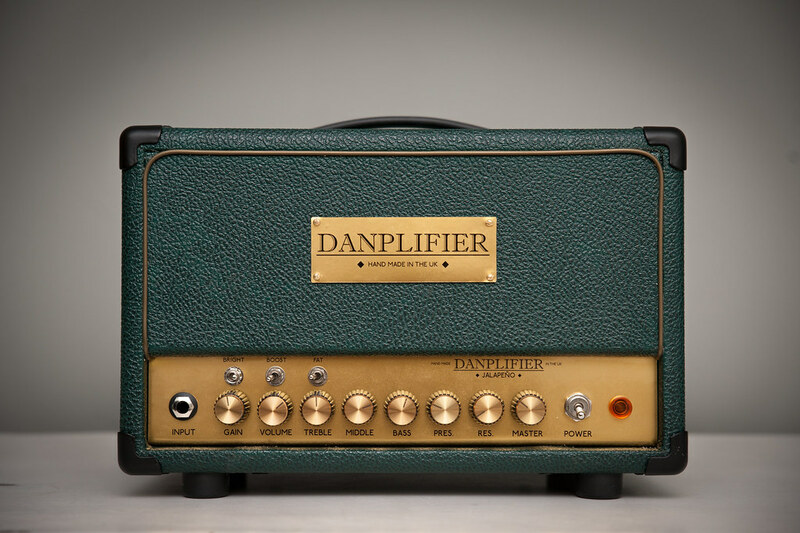 Every time you make a new amp I WANT it. That looks fantastic, great work. Looks awesome something like this would be just the job for me. Splendid work fella! The etched pcb looks like a work of art on its own. If it were a Vox Top Boost-style I'd be breaking the piggy bank. This one looks great too! Nothing wrong with a decent quality PCB at all. 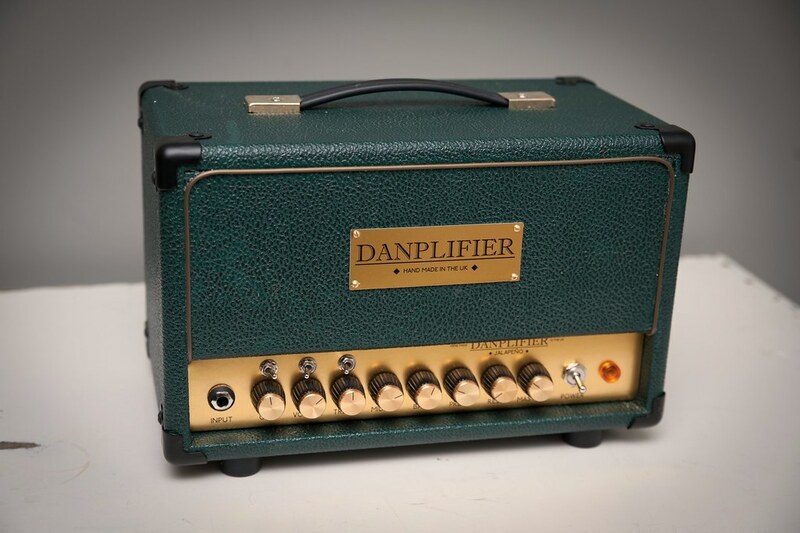 That sounds like the amp everybody wants Marshall to make. The ideal for me is 2 inputs, vol, TBM, pres and no more. 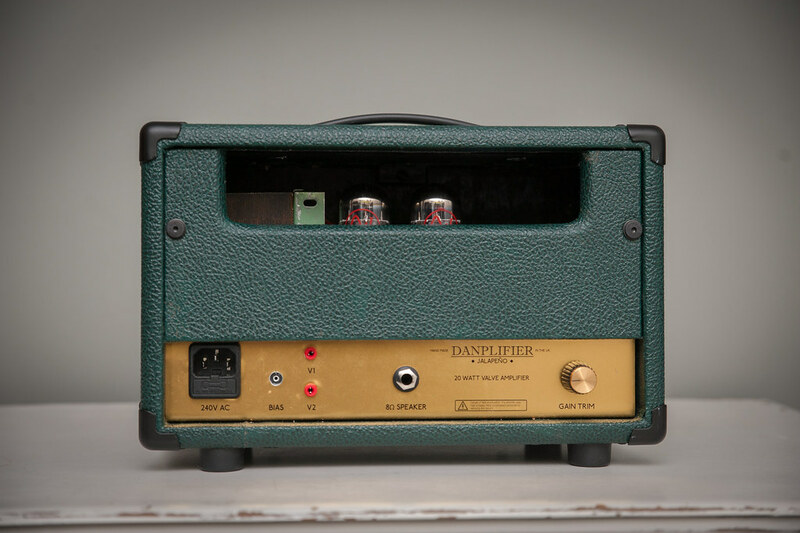 IMO, that amp looks far too good to not be a production amp; it'd make a huge number of players incredibly happy. Swap you for a vox ac15 you made? Very nice - the PCB grabbed my attention in particular. 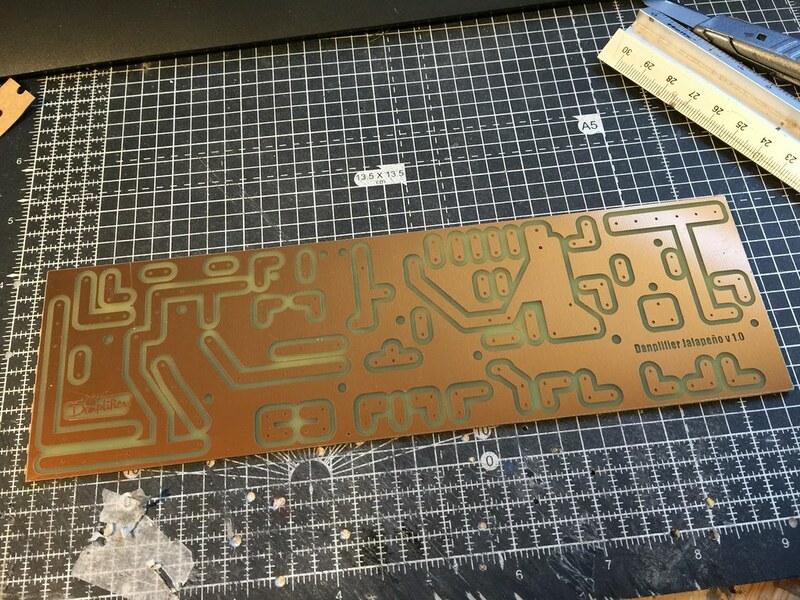 One of the cleanest DIY PCBs I've seen. I like the way you've etched away the copper you don't want rather than etched away all the copper apart from the areas you do want. Looks very neat. Uses much less Feric Chloride and cuts down the etching time too. Jalapeño? First in a line of Mexican-food-related amps?